Birthplace : The Bronx, New York, U.S.
Eliot Laurence Spitzer is an American lawyer, former Democratic Party politician, and political commentator. He was the co-host of In the Arena, a talk-show and punditry forum broadcast on CNN until CNN cancelled his show in July of 2011. He served as the 54th Governor of New York from January 2007 until his resignation on March 17, 2008 in the wake of the exposure of his involvement as a client of Emperors Club vip. Prior to being elected governor, Spitzer served as New York State Attorney General. Spitzer, who lives with his wife in one of his father's high-rise buildings near Central Park, runs every morning in the park, and maintains an exhausting schedule that often stretches past the 12-hour mark. Silda Wall Spitzer left private practice to head a nonprofit Spitzer family foundation that encourages schoolchildren to volunteer their time and talents. With such an unusually high public profile for a state officeholder, Spitzer is often mentioned as a possible contender for a national leadership position, perhaps even the White House. For the next four years, however, Spitzer was planning on fulfilling his campaign slogan "Day One, Everything Changes" in Albany come January of 2007. In his victory speech, he promised "a new brand of politics a break from the days when progress was measured by the partisan points you scored or the opponents you beat," New York Sun reporter Jacob Gershman quoted him as saying. "From here on out we need a politics that binds us together, a politics that's forward-looking, a politics that asks not what it's in it for me, but always what's in it for us." 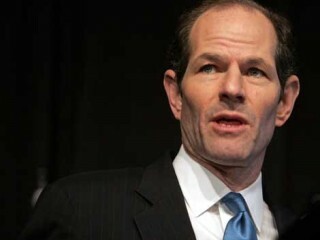 View the full website biography of Eliot Spitzer.